I feel like the holiday season is such a crazy time! You're getting the house ready for your own family, and then there is all the cleaning involved, because who wants to do Christmas in an already messy house, and then traveling, neighbor gifts, teacher gifts, the list goes on and on and on. Derek and I are already contemplating pulling a Christmas With The Kranks next year and skipping Christmas for a deserted island. This year we did a pretty fair job with neighbor gifts. We gave gifts to the ones we knew, but then people that we didn't know started bringing us gifts and we were unprepared. What's the etiquette on that? Do you have to reciprocate every single neighbor gift? I don't know. 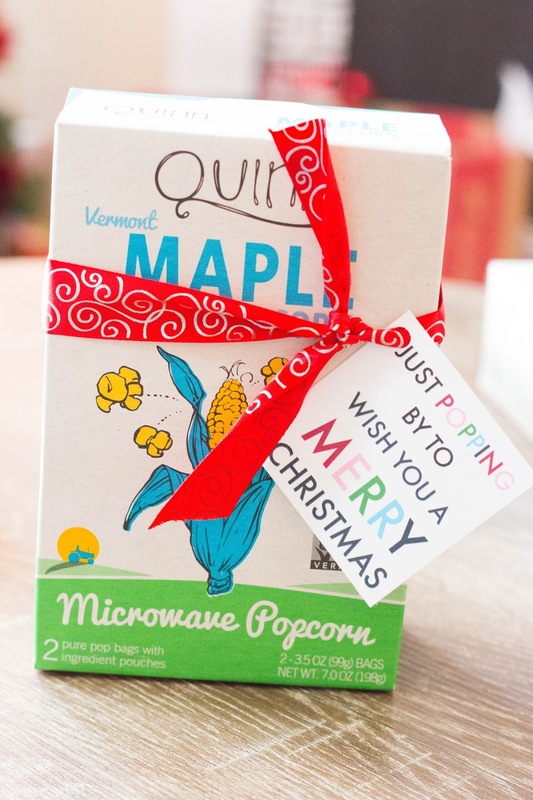 Luckily though we have a TON of popcorn in our house right now thanks to a package we just received from Quinn, and I thought they would be perfect to hand out to those last few neighbors as an easy gift. When I was driving in the car I had the random thought to add a, "Just poppin' by to wish you a Merry Christmas" tag on them, and then figured that there had to be at least one million printables already on the internet. Luckily there was and I printed these ones off and was good to go! 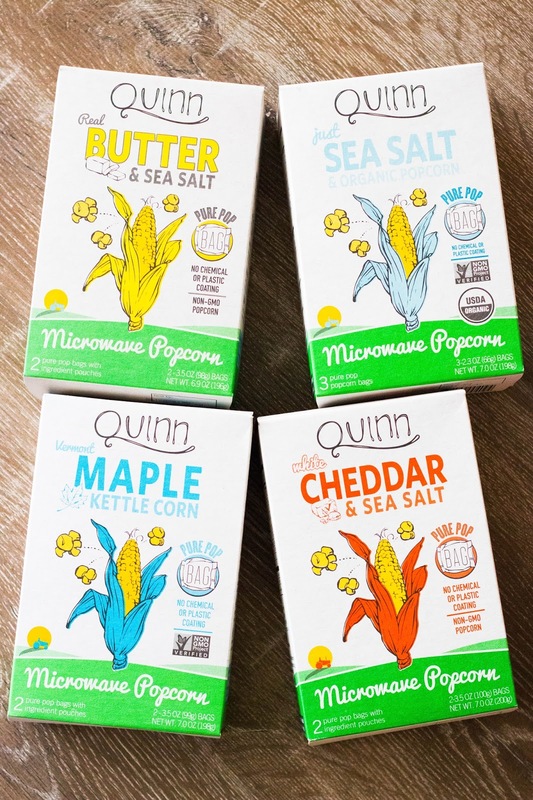 Quinn popcorn is amazing. It's all organic and comes in a pure pop bag. 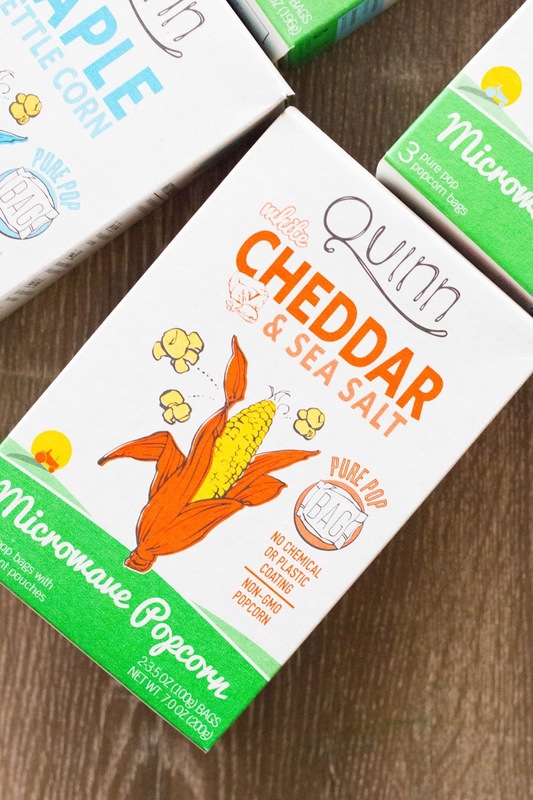 It's the first microwaveable popcorn of it's kind because the bag isn't coated in all of those harmful chemicals like other popcorn brands, and they have all sorts of flavor combinations! No only is their product safe, but their packaging is super bright and colorful, which helps add to the gifting factor! I hope everyone is having a merry holiday season, and I hope we can all take some deep breaths and enjoy some moments with family over the next week!